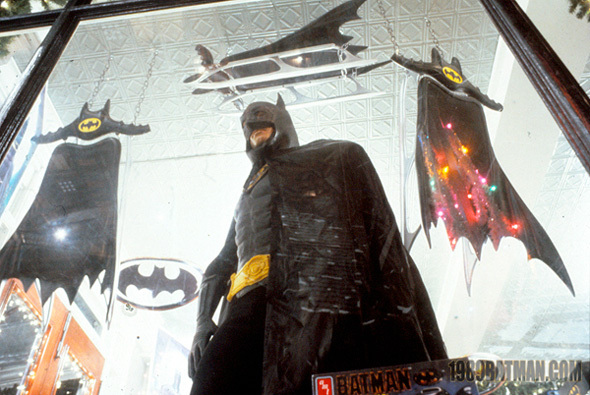 There's a certain amount of nostalgia that fans of The Dark Knight will always have when it comes to the original 1989 adaptation of Batman from director Tim Burton. That film and the sequel paved the way for more mature comic book movies, even if they don't hold up quite as well with the passage of time (though I still love them). 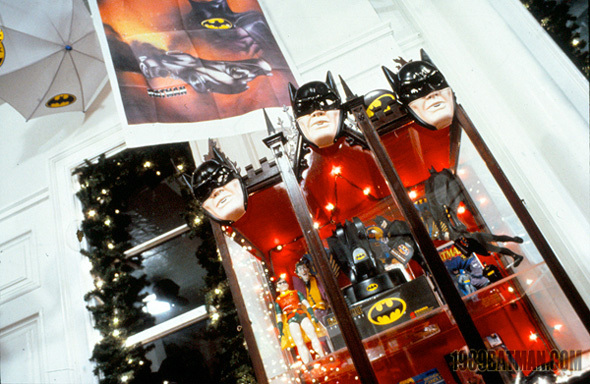 Well, here's something cool you may not have known about Batman Returns. 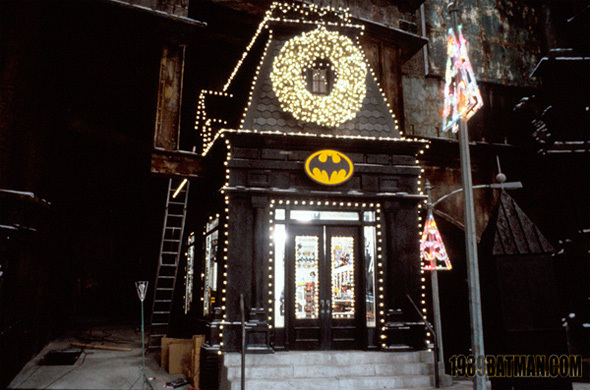 In what feels like perfect mimicry of the real world, there was once a plan for Batman Returns to feature a scene that took place in a Batman store, right in Gotham City. It was scrapped, but here's proof it existed. 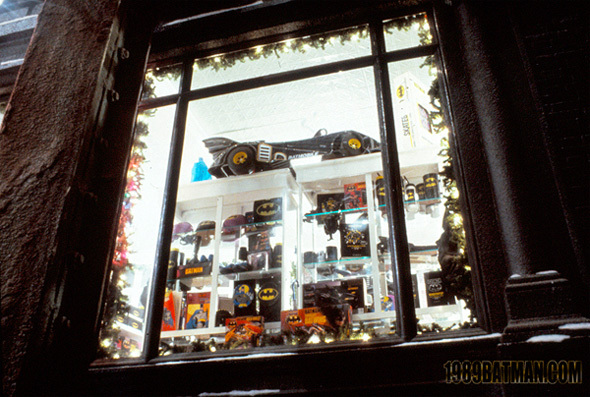 As you can see, the store is chock full of Batman merchandise, some of it was probably real stuff that fans could buy since Batman was one of the first superhero movies to merchandise on a massive scale like this. 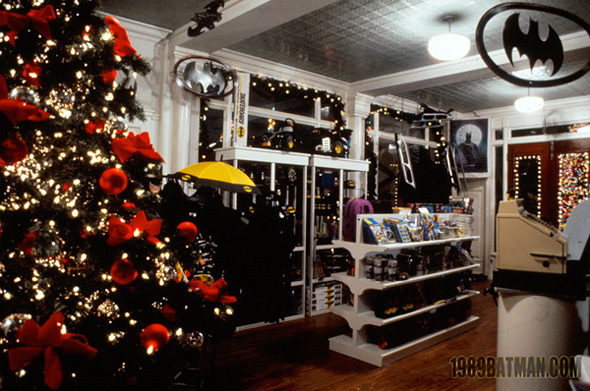 In the script, the Batman store would have been destroyed pretty quickly, likely in one of the assaults on Gotham in the beginning of the film. But as you can see, the set was built, and it's kinda cool. 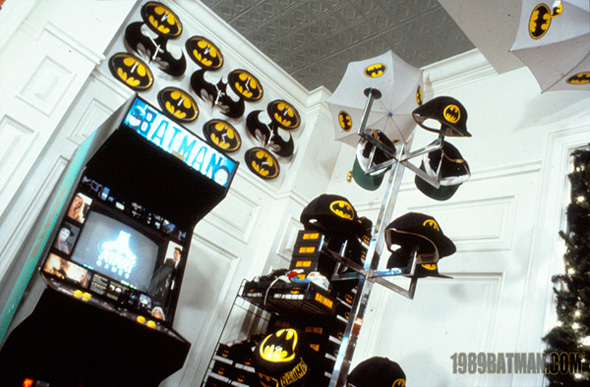 Personally, I'd like to know what happened to that arcade cabinet. 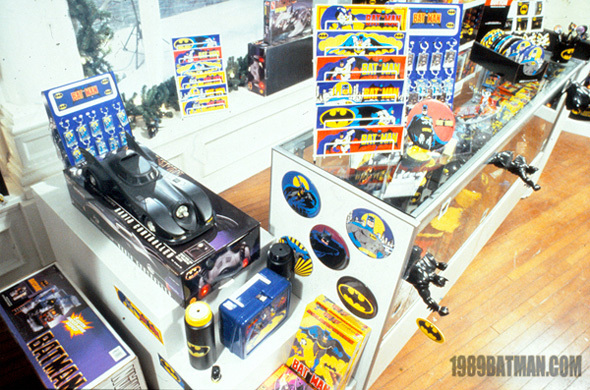 It's rather amazing that this kind of store doesn't exist today with all the Batman fandom that's out there now, but that's what comic book stores are for. Cool? It would have fit that world. You say the passage of time hasn't been good to Burton's Batman films. Dude, its hasn't even been 20 years since they both came out. How much could they have possibly aged in that time. Personally I've always found the "they've aged badly" argument one of the more lazier outgrowths of modern film criticism. Could you be a little bit more specific? Are you saying that Nolan's films are better because they are newer.